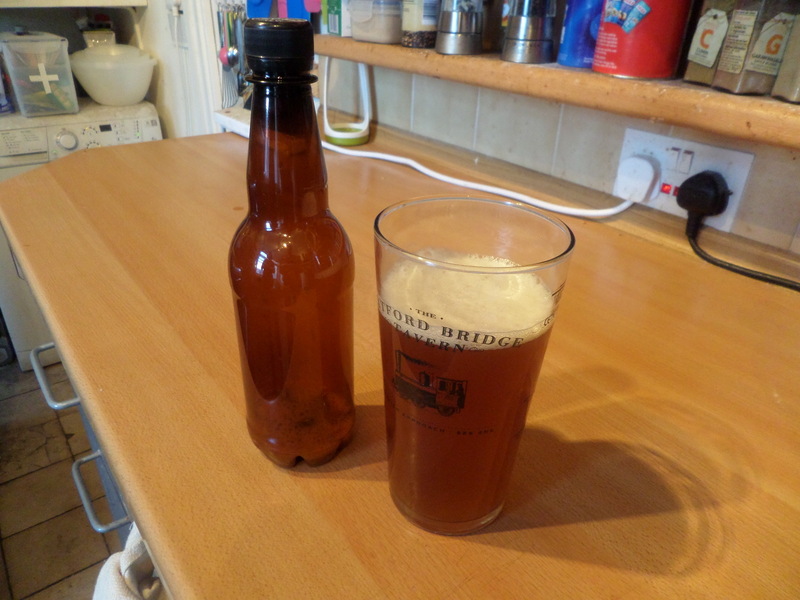 After three weeks of fermenting, then another two weeks of bottle conditioning, our homebrew that we made at the Brockley Brew School is finally ready to drink! So: how did our Bulmer’s Ichigo APA turn out? When we opened a bottle it fizzed: good sign. It didn’t smell off: another good sign. It poured out and looked like beer: all good signs so far. So the all important test: how does it taste? It tastes like beer! In fact it tastes like exactly like it should: a craft American Pale Ale! Final test: how many bottles will it take to get us drunk?